Understanding the many uses of the double can dramatically improve your game. The book reviews the basics and introduces tools to improve your judgment. Topics covered include; the Takeout double, responding to the takeout double, rebids, balancing and other doubles. 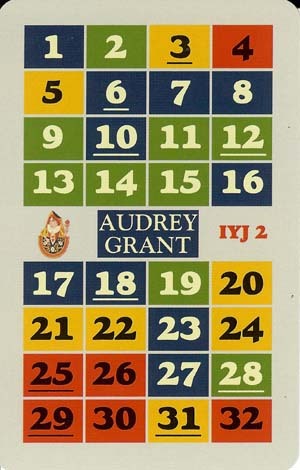 Audrey Grant has an international reputation in the field of bridge education. Her vision and commitment have been key to the success of the Better Bridge series of books, TV shows, lectures, and the Better Bridge magazine. She works with the best technicians in the world to make sure the material presented to the reader is up-to date and authentic. Audrey is the author of the official textbooks for the American Contract Bridge League and thousands of teachers have been using her methods for over a decade. 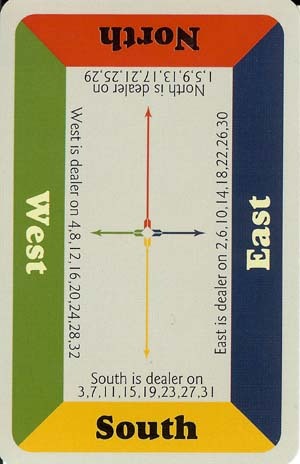 How the playing cards work? 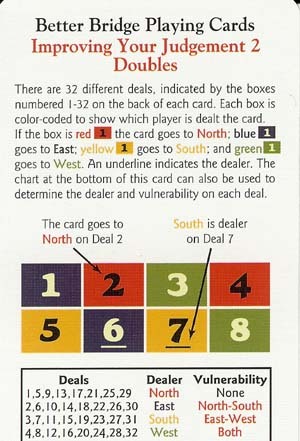 This instructions card explains how the cards get distributed (N, S, E, W) for each hand. Also, the card explain dealer and vulnerability for each hand.